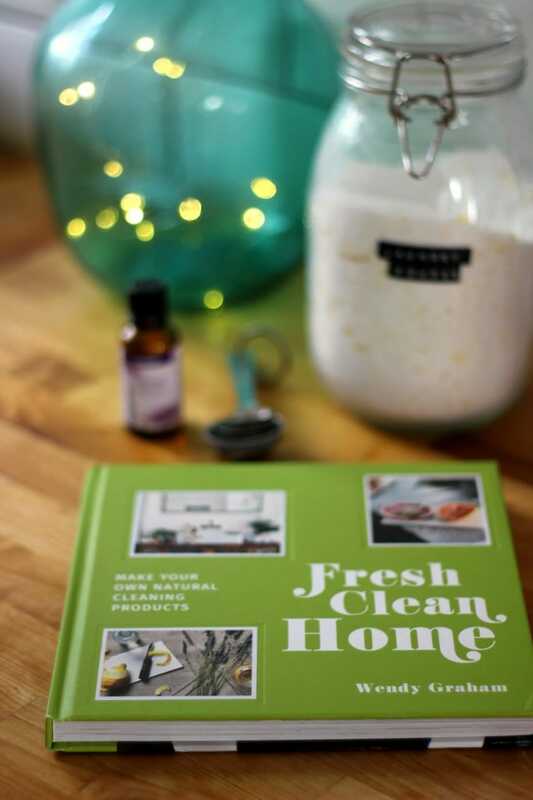 Exciting News – Introducing Fresh Clean Home! Hello! Today I wanted to share some really exciting news! This year I have been busy beavering away behind the scenes, to produce a book! 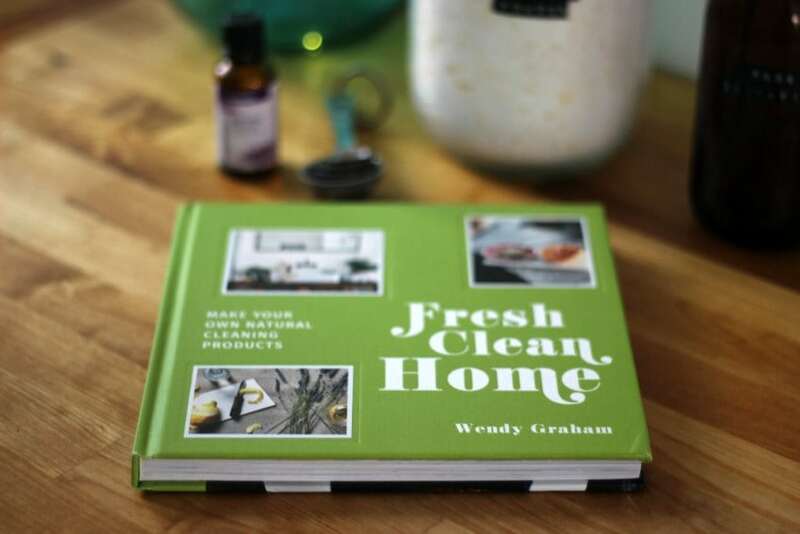 It’s called Fresh Clean Home, and it’s packed full of over 35 natural cleaning recipes for every corner of your home. The photography and styling are just stunning, and as well as looking lovely I hope it will be a really useful green cleaning book that you find yourself referring to time and time again. Fresh Clean Home is being published by Pavilion in hardback format. It will retail for £12.99 and is available to pre-order on Amazon right now. It will also be available in other bookshops (online and in-store) on 1st February, so you can purchase it from your preferred vendor. Here’s a run down as to what it’s all about! What’s Fresh Clean Home All About? 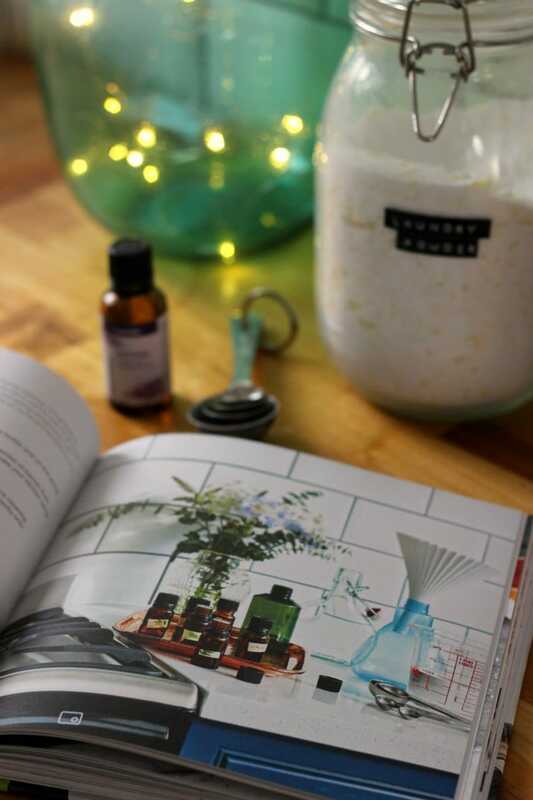 Fresh Clean Home is all about me sharing my very favourite green cleaning recipes and methods, to allow you to clean your home without the use of harsh or questionable chemicals. I’ve even troubleshooted why green cleaning recipes you might have tried in the past haven’t worked and suggested methods that will work. What Kind of Recipes Are In It? There are over 35 recipes for cleaning every area of your home. From natural laundry detergent, to kitchen and bathroom cleaners, to eco friendly oven cleaning gel, to how to deal with mould and mildew effectively. I’ve also shared the holy grail of green cleaning – an actual clinging toilet bowl cleaner that works just like those bleach based alternatives! What Ingredients Does Fresh Clean Home Use? There are no unusual or difficult to source ingredients in Fresh Clean Home. The main ingredients I use are easily sourced and include staples such as borax substitute, soda crystals, bicarbonate of soda, essential oils, and liquid castile soap. The ingredients can be used again and again in other recipes in the book. Does Everything Smell of Vinegar? In short: no. 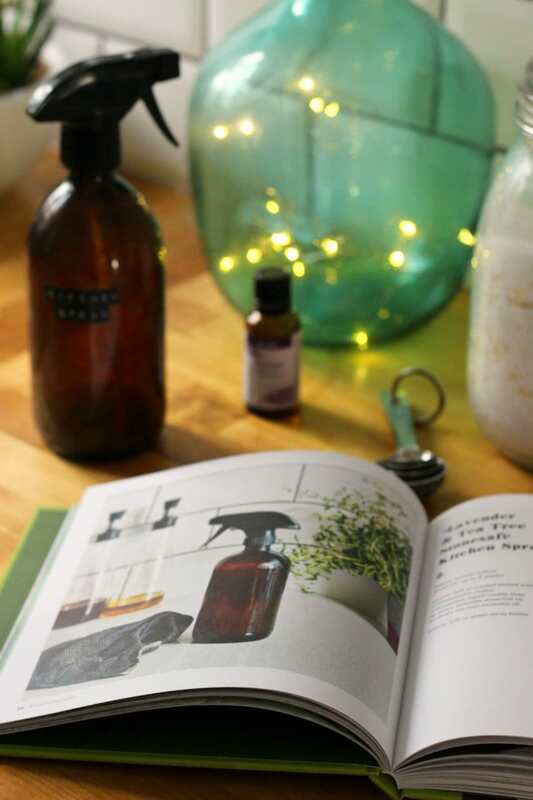 Whilst I think vinegar is a great natural cleaner I don’t think it’s the best solution in every circumstance, so there are a lot of non vinegar based products in the book. I’ve even included alternative recipes if vinegar just isn’t your thing. Are the recipes time consuming to make? No: I’m mindful that we all live busy lifestyles, so many products can be whipped up in just a few seconds. There are a few recipes that take a bit longer to make but these are all signposted! It’s been a real labour of love and I can’t wait to share it with you on 1st February! Oh my goodness! That’s so exciting. Definitely gonna pre-order this right now. I’m using Ecover and Method at the moment, but I would love to be able to make my own instead so I know what’s actually in them because even those two are very vague about what’s in their products. You’re right, from the photos you’ve shared, the photography looks stunning. Thank you Rosie! I used to use Ecover and Method but now we’re about a year or so into using homemade laundry powder and i won’t go back! I can make a load for not much money that lasts for around 3 months or so (and I do a lot of laundry!). I’m really pleased with the photos they took – beyond my skill level for sure! Well done and am very much looking forward to buying a copy. Your photography looks very stylish and do hope that you’ll reveal where to buy such lovely accessories. Since discovering your blog you’ve inspired me to follow your recipes for cleaning products as well as rethinking how to reduce household waste. The recipes work, they’re not overly complicated and it’s great that ingredients can be used across a number of recipes. Thank you Elaine for all of your kind words! I can’t take credit for the photography – all down to the team at Pavilion! I just told them how I wanted it to look and they did all the magic! Congratulations Wendy – looks fabulous! What a fabulous book! It’s very confidence-inspiring to have an explanation of different ingredients used as well as the natural cleaning no-nos. Was also delighted to see an oven cleaning recipe and saying goodbye to choking on fumes from shop-bought ones ! A couple of questions – the orange and grapefruit laundry powder recipe uses either castile or vegetable-based soap. Is there any other brand of castile soap besides Dr B, also am struggling to find plain vegetable soap. The nearest I’ve got is one for sensitive skin and apparently crammed full of English oatmeal, do you think this would work? Your forest fresh solid floor cleaner worked a treat and very easy to make. I adapted your tangy grapefruit and ginger foaming hand soap as I already had scented liquid castile made by Dr B, also added vitamin E oil for moisturising. Now I don’t know whether the Dr B castile is highly concentrated (nothing to compare it with) or whether it’s the oil but do find my foaming dispenser sometimes gets clogged. Am intending to buy some unscented liquid castile and interested to know how alternative brands compare with Dr B which is obviously more expensive. Finally (sorry!) I did find online a dishwasher powder recipe that works and wonder whether living in a hard water area helps with this. Hi Elaine, thanks for buying the book and glad to hear that you are enjoying it! Of course, happy to help! If I can get Dr Bronners castile bar soap on sale then I will buy that, as it’s quite dear when full price, otherwise I just use the above. Sorry to hear about the clogging – I haven’t had that particular issue before. I’ve not had an issue with unbranded liquid castile soap. That is great you found one that works! Maybe! Apologies, another q – what would you recommend for cleaning the blades of a mixer when used for making your excellent lemon and lavender toilet bowl cleaner? It’s used for non-food duties only. No worries, I just wash mine in the sink in hot water and washing up liquid or in the dishwasher with my regular dishwasher detergent! My copy arrived today, the book looks brilliant, although I am worried about the impact of minimum alcohol pricing on one of your key suggested ingredients. Congratulations again on producing such an innovative book. I was looking for a list of cleaning recipes and I found something better, your book! I’m not a fan of the smell of vinegar, so it’s good to know that your book contains a lot of alternative ingredients. Thanks SO SO much Rosie – this is fantastic to hear! So glad I could help!